New Scientist is reporting today on some recent research undertaken in Australia on the way that honeybees can ‘drift’ from one hive to another – Migrant honeybees article. Any experienced and/or competent beekeeper could probably have provided similar information but the article is still an interesting one, with quite a lot of detail on what was found in the colonies there. This entry was posted in Uncategorized on 03/02/2017 by whbbeekeepers. This entry was posted in Uncategorized on 20/09/2016 by whbbeekeepers. Due to various unavoidable absences it has been decided that our Honey Show and AGM will be postponed to a new date in November, which will be circulated very soon. 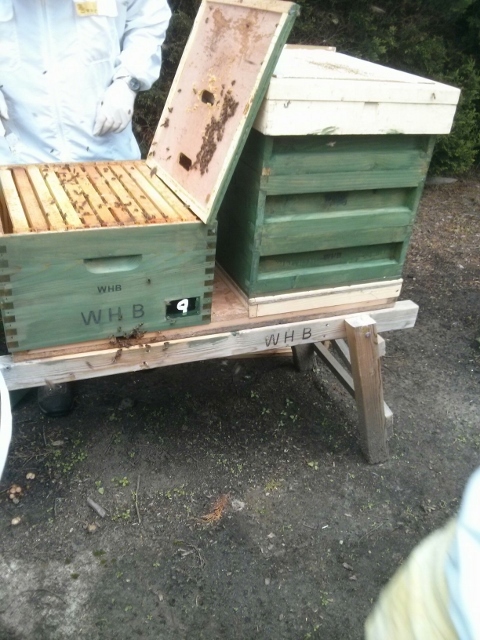 This entry was posted in Uncategorized on 05/10/2015 by whbbeekeepers. 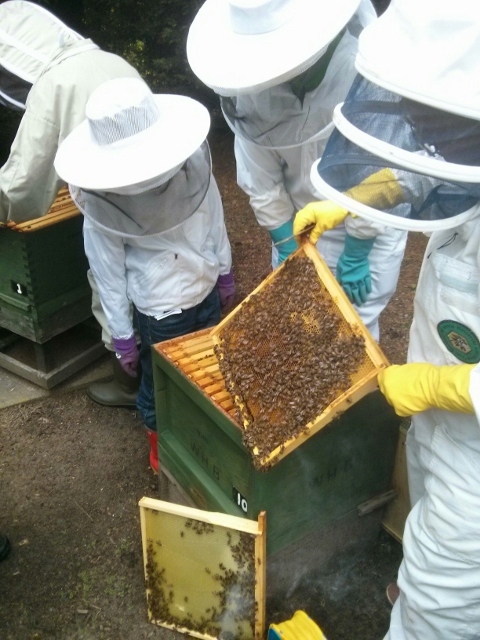 This afternoon’s meeting was well attended with around 18 members present, both to listen to a talk from Sue and Keith on the points to keep in mind when preparing entries for a honey show, and also to take part in the final hive inspections of the year. For the latter, we divided into three groups – beginners and would-be beginners, then two groups of people who were more advanced. All in all it was a very constructive afternoon. This entry was posted in Uncategorized on 26/09/2015 by whbbeekeepers. We had a committee meeting yesterday evening that considered the various new developments we’re working on at the moment. Locating funding for the branch’s new hives (working on a basis of £200 per hive, for anyone/any organisation sponsoring one), a series of interesting talks to be offered in Faversham this autumn, some news about possible new apiary sites, and a new page here on the website that will provide contact details for branch members who have some honey to sell, were all discussed. More detailed information will be circulated to branch members by email. For the talks in Faversham, there are more details in the attached download. This entry was posted in Uncategorized on 28/08/2014 by whbbeekeepers.